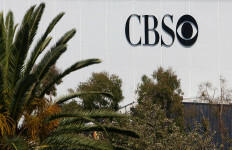 CBS studios in Los Angeles. Photo by John Schreiber. 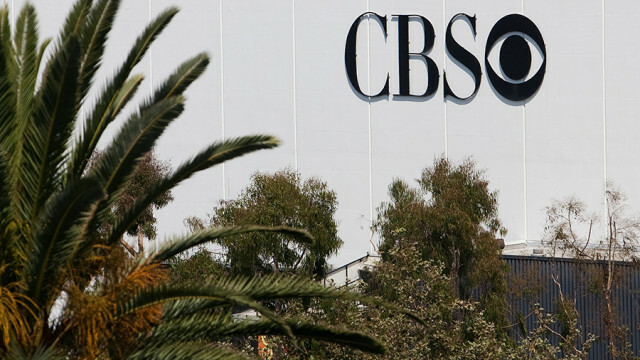 CBS had four of last week’s five most-watched prime-time series, even without an original episode of the season’s most-watched scripted series, “The Big Bang Theory,” to finish first in the network race for the eighth time in nine weeks, according to live-plus-same-day figures released Tuesday by Nielsen. The long-running procedural “NCIS” was the most-watched prime-time program between March 11 and Sunday, averaging 12.083 million viewers. The Monday edition of the NBC singing competition “The Voice,” was second for the week, averaging 10.543 million viewers. The CBS news magazine “60 Minutes” was the week’s only other program to average more than 9 million viewers, averaging 10.096 million to finish third. The rest of the top five consisted of “FBI,” which follows “NCIS,” and averaged 8.956 million viewers, and “NCIS: Los Angeles,” which averaged 8.47 million. The rerun of “The Big Bang Theory” was the week’s most-watched comedy, finishing 12th overall, averaging 7.636 million viewers. CBS averaged 6 million viewers for its 13th victory in the 24-week-old 2018-19 season. ABC was second for the second consecutive week, averaging 5.06 million. Its most-watched program was “The Bachelor” season finale, sixth for the week averaging 8.235 million viewers, a 3.5 percent increase over last season’s finale which averaged 7.959 million. NBC was third for the second consecutive week, averaging 4.5 million. Fox averaged 2.65 million viewers for its 15 hours of programming to finish fourth for the ninth consecutive week. “Last Man Standing” was its most-watched program for the second consecutive week, averaging 5.164 million to finish 27th for the week. The AMC horror series “The Walking Dead,” was the most-watched cable program for the third consecutive week, averaging 4.566 million viewers, 34th overall. Fox News Channel was the most-watched cable network for the ninth consecutive week, averaging 2.329 million viewers. Extensive college basketball conference tournament coverage lifted ESPN into second, two spots higher than a week earlier, averaging 1.935 million. MSNBC dropped one spot to third, averaging 1.817 million. The most-watched Spanish-language prime-time program was the Monday episode of the Univision telenovela “Amar a Muerte,” which averaged 2.037 million viewers to finish 73rd among broadcast programs. Its overall rank was not available. Univision was the most-watched Spanish-language network for the 20th consecutive week, averaging 1.37 million viewers. Telemundo finished second, averaging 1.07 million viewers, followed by UniMas, which averaged 360,000, Estrella TV, which averaged 250,000, and Azteca America, which averaged 60,000. ABC’s “World News Tonight with David Muir” was the most-watched network nightly newscast for the 16th consecutive week and 67th time in the past 68 weeks, averaging 8.643 million viewers. The “NBC Nightly News with Lester Holt” was second, averaging 8.176 million viewers. The “CBS Evening News” averaged 6.111 million. It has finished third each week since the week of Sept. 25-29, 2006.